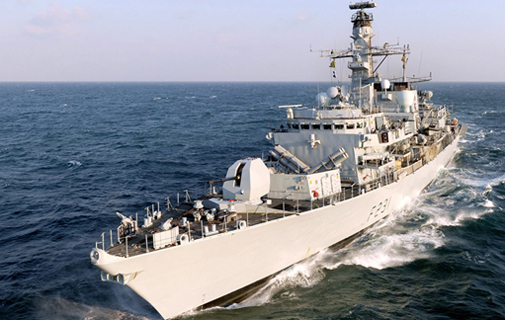 HMS Argyll returns to Bermuda on Monday morning to start a three-day visit. The Royal Navy’s longest-serving Type-23 frigate will arrive at Dockyard’s commercial berth around 8am and is set to move down to Hamilton later in the day before leaving the island on Thursday. The visit is part of her latest deployment to the North Atlantic and Caribbean. The ship was last on the island at the end of August, 2013, after a string of counter narcotics operations in the Eastern Pacific. The frigate then returned to service in the Gulf before heading back to her home waters in 2012 again for major upgrade of all her systems. Before leaving the UK on June 20, HMS Argyll’s captain, Commander Paul Hammond told www.royalnavy.mod.uk: “As we sail from Plymouth we can reflect on nine months of hard work in preparation for this deployment in which my ship’s company have achieved fantastic results.